Omni ring is sleek and refined. A stylish token of love. The ring at left features a stunning 1.16 carat royal blue sapphire set in white gold with 68 pavé diamonds totaling .45 carats. 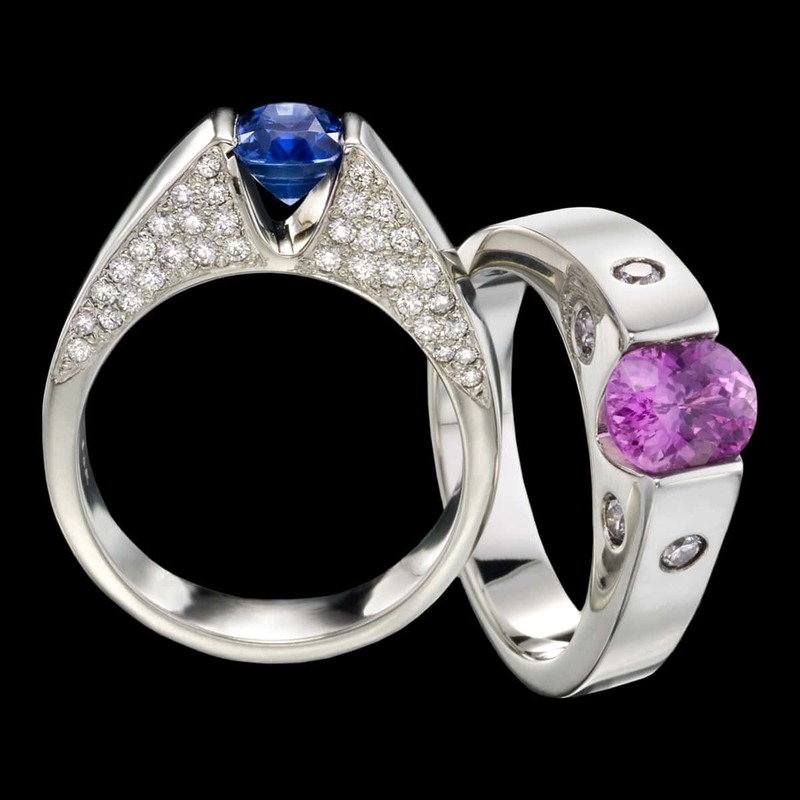 Pictured right is the Omni ring with a beautiful 1.20 carat pink sapphire tension set in white gold with .25 carats total weight of accent diamonds. Looking for the perfect center stone? We offer GIA expertise and competitive pricing for diamonds and colored gemstones. If you already have a center stone we can set it for you. To purchase, call (949) 715-0953 or use our contact form below.